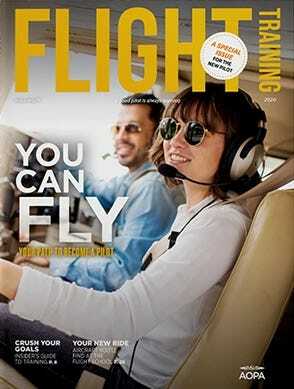 A true aviation icon of WWII, the B-17 Bomber is one of most venerated aircraft of all time. 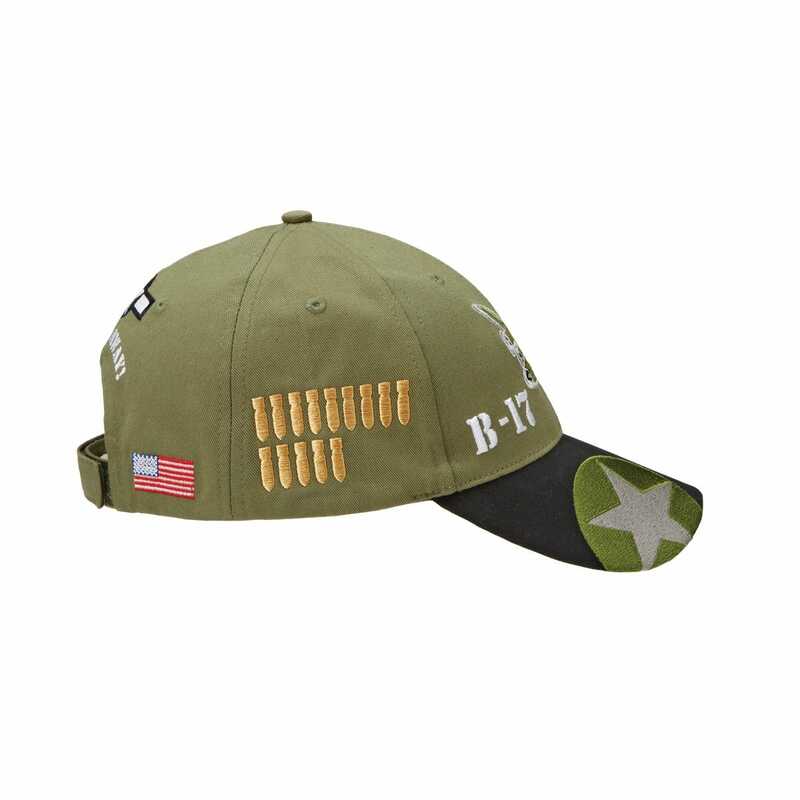 Our exclusive B-17 Cap celebrates the legacy of the Flying Fortress with a rendering of the beloved bomber stitched along the crown leading onto the brim. 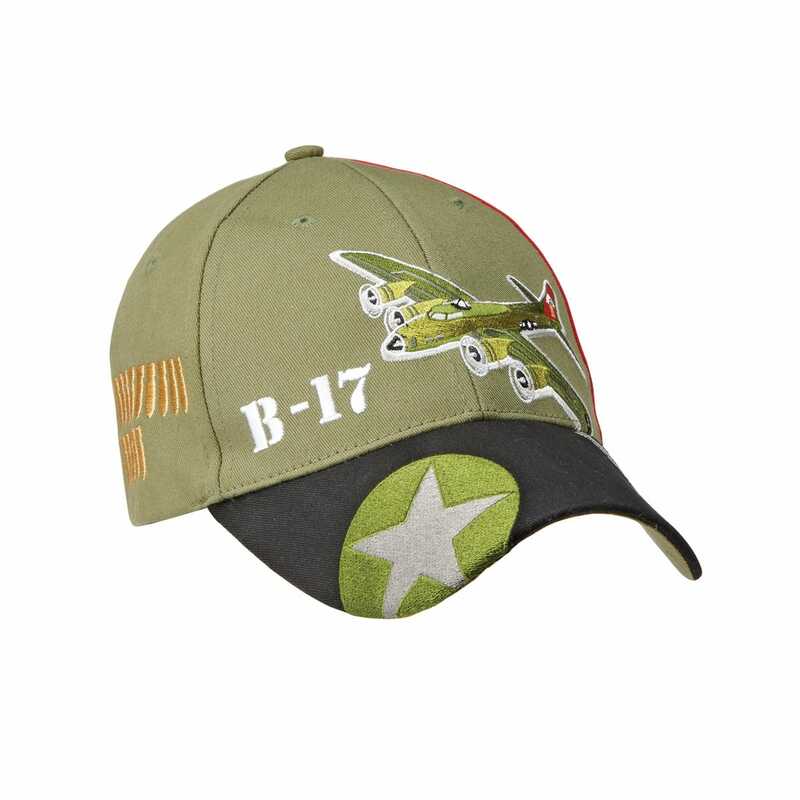 B-17 is embroidered to the left of the image, and a star roundel appears on the right side of the bill. 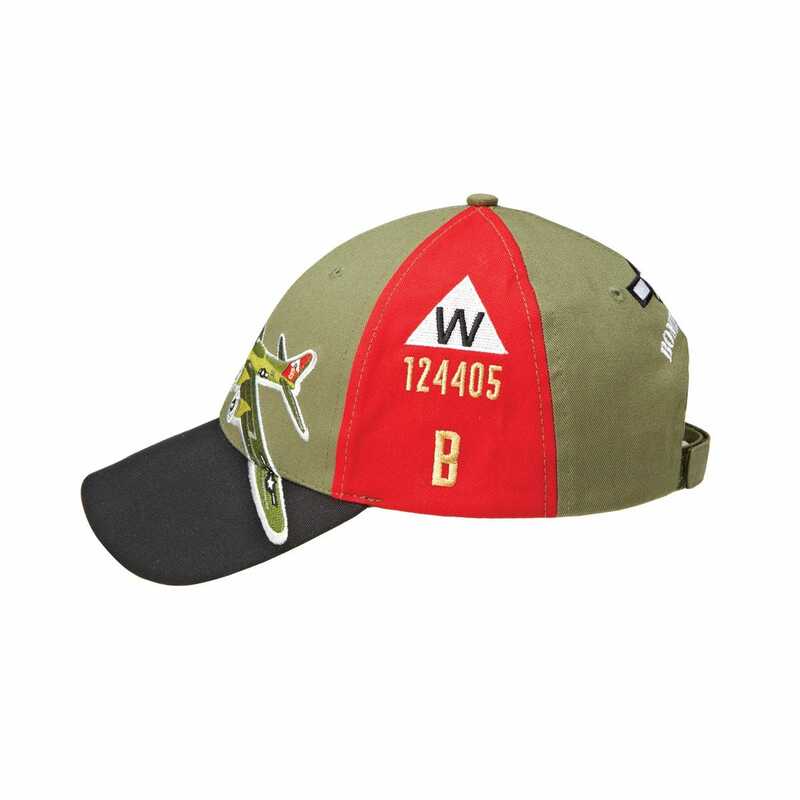 On the left, a red panel replicates familiar tail markings while 15 bombing missions are indicated by the markings on the right. 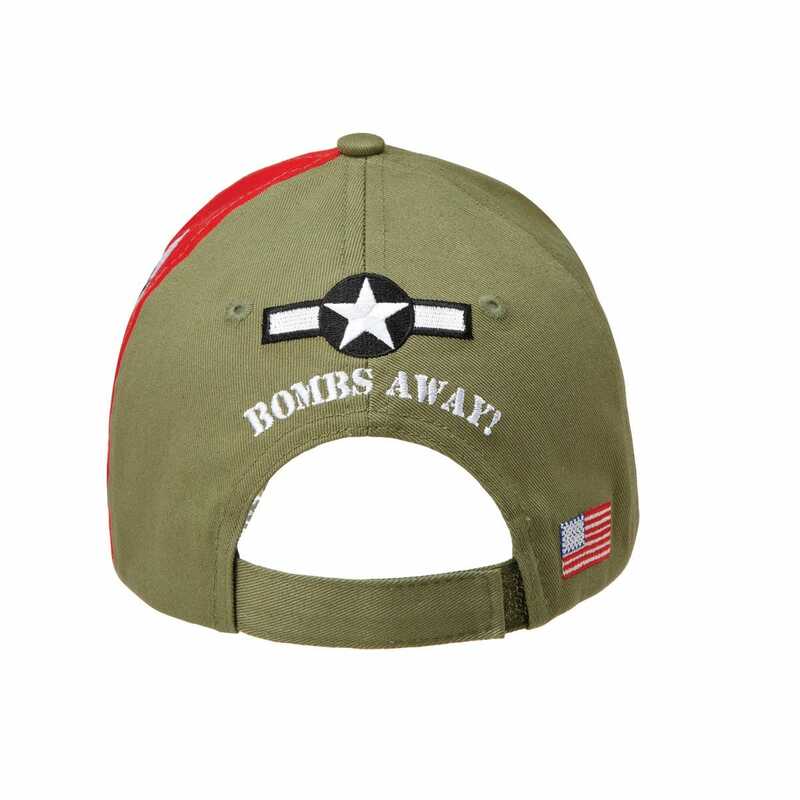 The words “Bombs Away!” along with a classic USAAF logo are embroidered on the back. 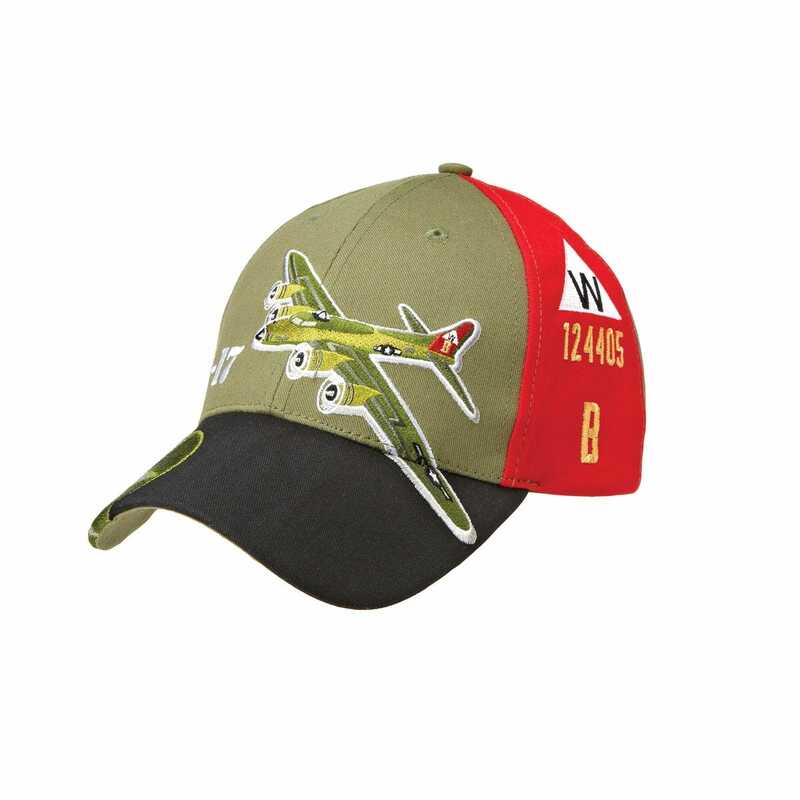 A distinctive design for an extraordinary airplane, Cap comes in military olive. Hook and loop adjustment ensures one size fits most. 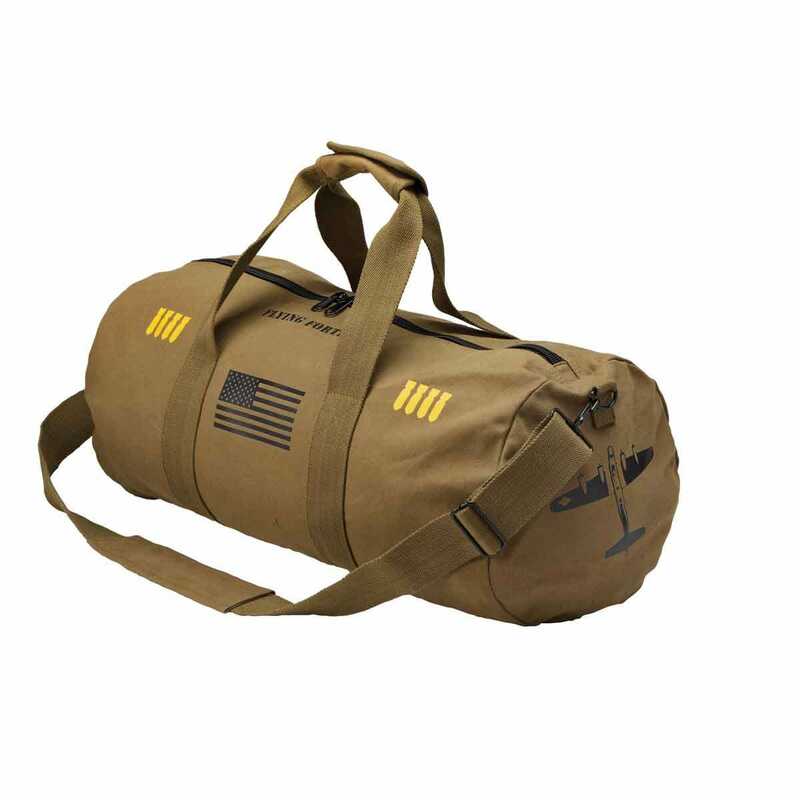 Modeled after WWII barrel shaped equipment bags, our B-17 Flying Fortress Bomber Bag is an all-purpose travel bag, ideal for long trips, everyday use, an overnighter or a trip to the gym. 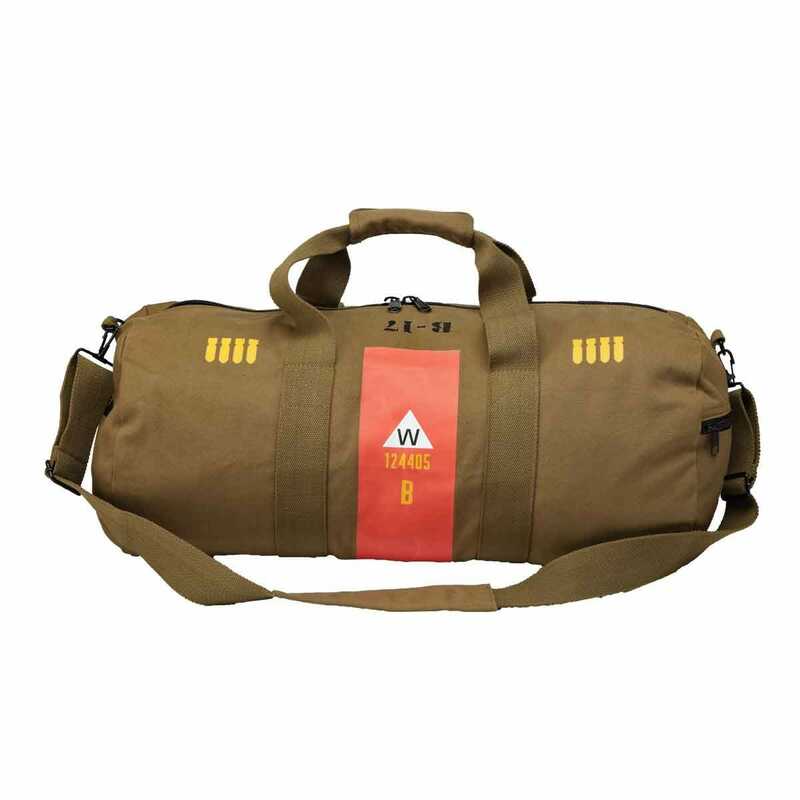 The Bag features a detachable & adjustable shoulder strap and web carry handles for added durability. Screen printed graphics appear on all sides for added value. On the right side, a red panel replicates familiar tail markings. On the left, is the American Flag, while 16 bombing missions are indicated on both sides. 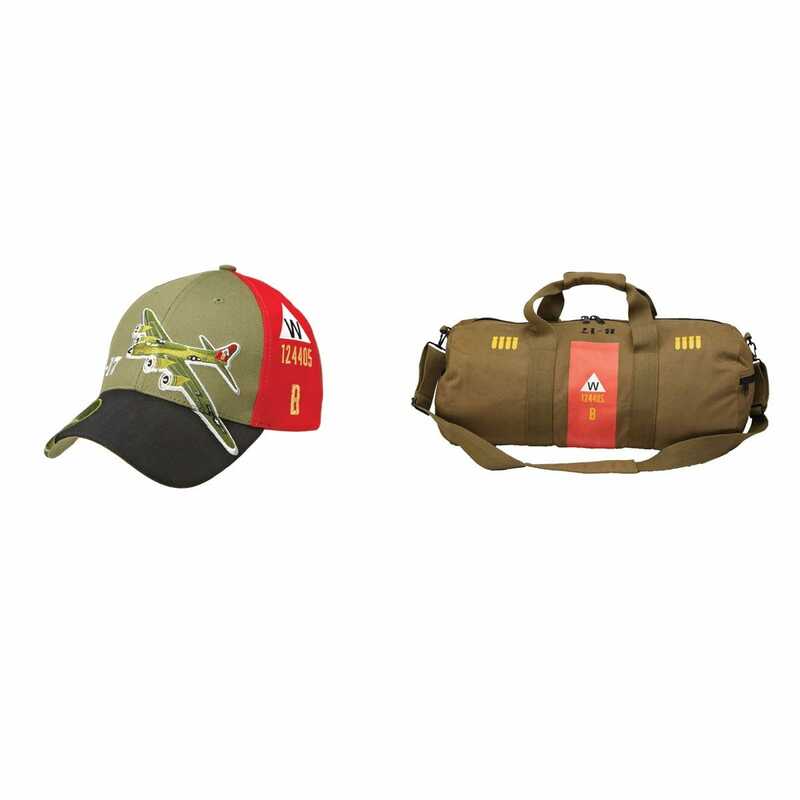 On the ends of the Bag is a B-17 Bomber Silhouette and on the other is USSAF logo. Bag is made of 16 oz. 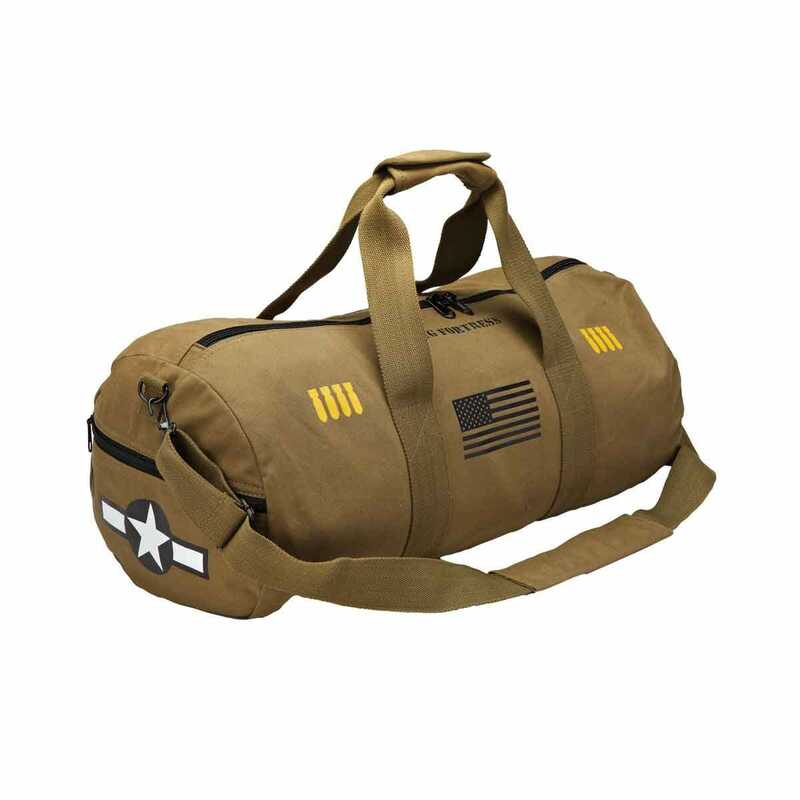 olive drab cotton canvas and includes two end pockets with zipper closures, and a heavy-duty zipper closure for the main opening. Measures 24”l x 8”h x 12”w.